India's only electric carmaker Mahindra Electric is looking to boost sales of its e2oPlus hatchback by partnering with self-drive car rental service Zoomcar to lower the cost of ownership for consumers. Individuals who buy the e2oPlus through Zoomcar will be able to list the vehicle on the platform when idle to earn money. Through the programme, Zoomcar claims that an individual can earn as much as Rs 15,000 per month if they list their vehicle on the platform for 20 days in a month. "In the past, we have worked with different strategic partners to bring electric mobility to the shared transportations space. With this first-of-its-kind association with Zoomcar, we believe we will be able to make green mobility available to a larger audience," said Mahesh Babu, CEO at Mahindra Electric, said in a statement. 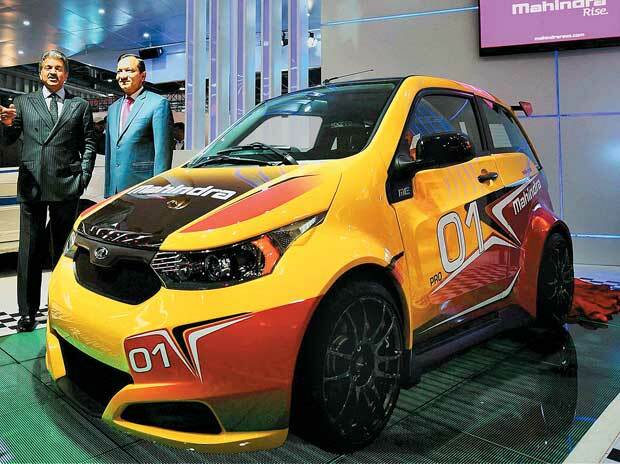 Due to the higher cost of electric cars, Mahindra Electric has had to partner with fleet operators to drive sales for its e2o hatchback. The company has partnered with Lithium and other such firms to enable businesses to provide sustainable mobility to employees, but has been unable to crack the consumer market. The Zoomcar partnership will help customers offset the higher cost of buying an electric car, with Mahindra expecting sales in its home city of Bengaluru to be boosted by 20 per cent. For Zoomcar, with 70 per cent of its business on weekdays being driven by intra-city rides, the e2oPlus might become an attractive option. "Electric cars on shared mobility platforms is the ultimate way forward in solving the urban transportation problem. It is part of the massive overhaul the transportation industry is witnessing globally towards greener and more efficient transportation solutions," said Greg Moran, co-founder and CEO of Zoomcar. Zoomcar already has already enabled the purchase of over 500 cars through its ZAP programme, with the e20Plus being the first electric option available to customers.